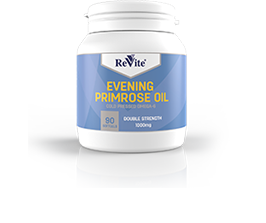 Cold pressed Evening Primrose oil (EPO) oil rich in omega-6 helps to regulate hormones and improve nerve function. Supports the management of dry skin, nails and eyes. Should always be taken with an Omega-3 supplement. Contains no sugar, salt, gluten, yeast, artificial colourants, flavouring or preservatives.